Nicolle Peterson aspires to become a Hollywood film editor. There was never a doubt in Nicolle Peterson’s mind where she was going to college. Her family has strong connections with the University of Washington and she was excited about becoming a husky following graduation from high school in Sumner, Wash.
During her senior year, her best friend wanted to visit colleges in Eastern Washington and begged her to come along so she wouldn’t have to make the trip alone. Peterson reluctantly agreed. Once they stepped foot on the Pullman campus, she immediately sensed the Cougar spirit of Washington State University. The rest is history. Nicolle and her best friend enrolled at WSU the next fall and became roommates. She was excited to begin the next chapter in her life and joined the Cougar Marching Band as a clarinet player. Life seemed good. Looking back at her freshman year Peterson is still surprised by how quickly her new life at WSU unraveled. Suddenly she was having difficulty focusing in her classes, and her mind was playing tricks leading her to believe her professors were singling her out as the dumb one in the room. She knew she should take notes during the lectures, but couldn’t make herself do it. Her memory was failing her as well. As she struggled in school, she started isolating herself from everyone—even her best friend. She felt as if everyone was judging her. Peterson was also carrying a secret—one that she kept hidden from everyone since she was 16 years-old. By the second semester of her freshman year, she stopped attending classes altogether and didn’t show-up for final exams either. The following fall she withdrew from all her classes except band. The final straw came when she received a text from her boyfriend informing her that he was ending their relationship. With her life spinning out of control, Nicolle had thoughts about ending it. Her roommate became so concerned that she consulted with her parents, who urged Nicolle’s mom to drive to Pullman to be with her daughter. 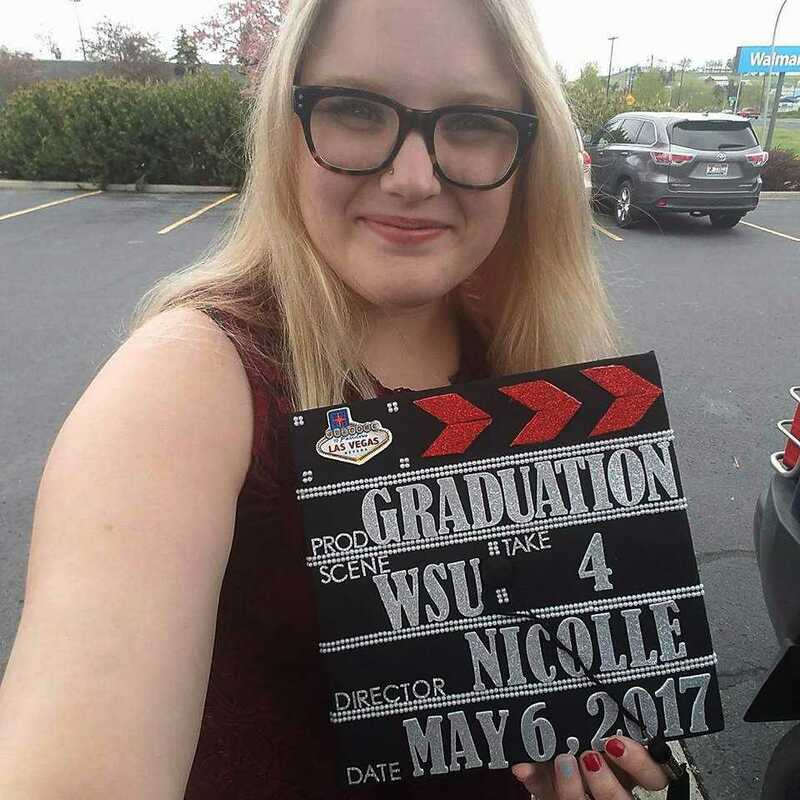 Together they visited WSU’s Health and Wellness services seeking answers for Nicolle’s concerning behavior. Over a period of time and after going through a series of tests, Nicolle was diagnosed as suffering from depression, anxiety, Attention Deficit Disorder (ADD) and bipolar type two, meaning she had experienced at least one hypomania episode and at least one episode of major depression. The doctor prescribed appropriate medications, but also asked Peterson to visit WSU’s Access Center. The Access Center assists students with disabilities, psychological or medical conditions, or temporary injuries that make it difficult for them to get around campus. Access Center Advisor Juli Anderson remembers the day Peterson visited her office. She was feeling really down and was very tearful. Anderson’s training kicked-in and asked Nicolle a series of questions as part of a suicide risk assessment. “Her responses indicated she was indeed at-risk and I felt it was best to immediately walk with her to Counseling and Testing Services to be further evaluated,” she said. It was a rough stretch for Peterson, but she was finally receiving the help she needed. Anderson became her go-to person on campus whenever she was feeling down or needed advice. She worked with Nicolle to determine what accommodations she needed and coached her on how to talk with her professors about them—something that terrified Nicolle. In Nicolle’s case, having more flexibility to complete assignments, a private room to take exams in and more time to finish them, made a big difference in her academic performance. Anderson supported Nicolle when she decided to switch her major to Fine Arts, something she became passionate about. By the following semester she had made the President’s Honor Roll. The Access Center has seen the number of students seeking accommodations explode in recent years. It currently provides about 900 students with accommodations on a regular basis, and serves many more who request one-time accommodations for things like housing and emotional support. For Anderson and her colleagues, it means each of them can have several hundred students they are trying to help at any given time. One of the fastest growing segments of the Center’s clientele are students with psychological disabilities. Anderson said that number has more than doubled since 2010, accounting for about 240 students last year. She believes the stigma surrounding mental illness is lessening and more students who experience symptoms are getting help earlier, often before they arrive at WSU. In Peterson’s case, her college career was on the verge of collapsing for good when she began receiving the help she needed. In spite of being on academic probation and overcoming so many other challenges, she not only made the President’s Honor Roll, but also graduated on-time last May. Peterson is currently working on a film degree at the University of Nevada, Las Vegas, and has her sights set on possibly becoming a Hollywood film editor. Anderson calls her success nothing short of amazing.